On average, 50 million tons of e-waste are produced around the world every year. In the next 4 years, global e-waste will increase by 33%. Remember your old Polycom phones system that was recently upgraded? What happened to it? Is it in the dumpster out back? Gathering dust in a storage closet? Maybe even riding around in the trunk of your car? One great option you should consider is recycling your phone system. Keep reading to learn the benefits of recycling for you personally and for the world as a whole. If you’re reading this article, chance are that you’ve already made an upgrade to your phone system. But maybe you’re still attached to your old one. Polycom phones were first produced 25 years ago. They released a three-legged conference-call phone that significantly improved communication in the business world, and they’re still creating innovations today. They recently released an updated model, the 8500. This phone allows not only for audio conference calls but for video calls as well. Other new models allow people to connect to the conference call using their smartphone cameras. This lets people join business calls no matter where they are. Hosted voice over internet protocol devices (VoIPs) are also becoming popular. This system allows you to have less equipment but still great connections. With all these new, innovative models, upgrades are almost a necessity for any business’s success. 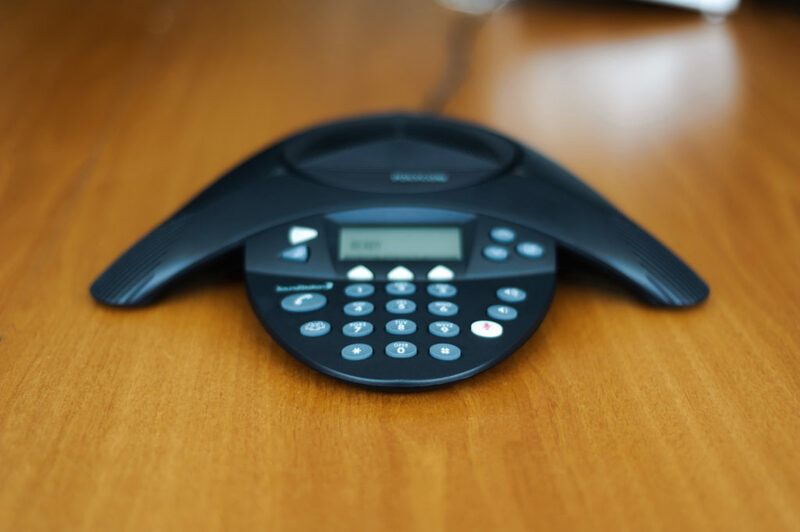 By recycling your old Polycom phones, you’re able to get better quality equipment. Clear communication improves productivity and, therefore, can improve profits. Once you’ve decided an upgrade is the way to go, you suddenly have two phone systems. Do you have the space to store the old phones? For most offices, the answer is no. Recycling creates a great option to free up space in that cluttered storage cupboard. Throwing old electronics into the garbage is an invitation to hackers and identity thieves. Even wiping the equipment before tossing it does not mean everything is fully erased. By recycling, you can ensure other people cannot steal your information by hacking your old electronics. Recycling old Polycom phones has never been simpler. It’s almost as easy as throwing away trash. All you have to do is order a recycling box, fill it with old electronics, and ship it back. The company you choose will pay the postage. If you don’t like mailing items, you can also recycle old electronics at Goodwill, Best Buy, or Staples. The EPA and MyGreenElectronics both offer recycling resources as well. Another good option for recycling old Polycom phones is to donate them. There are plenty of non-profits that need good, solid technology even if it is a little outdated. Electronic waste often has chemicals such as lead, mercury, arsenic, and cadmium. These chemicals can leach into soil and water, hurting nature and our communities. Not only can these chemicals be dangerous when left in nature, they’re limited resources. Once the earth runs out of things like lead, mercury, and cadmium, we’ll have a hard time continuing to create electronics. By recycling your old Polycom phones, you are keeping them out of landfills and allowing hazardous chemicals to be extracted and reused. This keeps the earth clean and allows us to continue producing goods. How are the chemicals and metals extracted? The phones get taken apart, and any good hardware is saved. The rest of the machine is smashed into a fine dust. Magnets then pull out any metals, and water solutions remove important compounds. These get sent to factories where they’re put into new devices. If the phones you recycle are in good enough condition, they may even be given or sold to another company for use by the recycling plant. When electronics are simply thrown in the trash, waste management employees often have to pick them out. These items are sometimes sent to recycling plants to be processed and to extract metals and valuable chemicals. All too often though, they get shipped to dumps overseas, since many states will not allow them in landfills. China and many countries in Africa receive American electronic waste. Since these items still hold some valuable materials, unskilled laborers pick through them with their bare hands. They try to repair the items they can and extract metals and chemicals in often unsafe ways. Sometimes they just burn the old electronics for warmth or cooking. This releases toxic fumes into the air, which can lead to lung problems. Not only can recycling prevent pollution and environmental problems here in the USA, it can help keep people safer in developing countries. Not only is recycling a good idea for the environment, but it’s also the only legal method in many places. Currently, 25 states have bans on dumping electronic waste in landfills, and many more states are considering these bans. Obviously, avoiding a heavy fine is a great reason to recycle your old phones! If your old Polycom system is still in good shape though, why give it away for free or send it to a recycling plant? This benefit of reusing your phones is that you can be paid for them. You can recycle your Polycom phones by selling them to another company. There are many companies who are willing to buy your old phones. They also sell refurbished phones to allow you to upgrade to a better model than you currently have for a lower price. Not only can you end up with a better model of Polycom phone, you will also pay less for it by recycling your old system. Interested in a quote for your old Polycom phone system? If so, get one here!